COLORADO, U.S. - In what has become the second high-profile merger in the mining industry in less than 12 months, Colorado-based Newmont Mining Corp has announced plans to acquire its Vancouver-based rival Goldcorp Inc. The deal, which was announced by Newmont Mining on Monday, is worth $10 billion and would create the world's biggest gold producer upon completion. Making the announcement during a conference call with analysts, Gary Goldberg, Chief Executive of Newmont said, "Combining forces will give us the sectors best project pipeline and exploration portfolio. These prospects translate to the gold sectors largest reserve and resource base." In a statement announcing the deal, the companies said that the new company that is formed as part of its deal, will be called Newmont Goldcorp and will be led by Goldberg. The companies added that after Goldberg retires at the end of 2019, Newmonts Chief Operating Officer, Tom Palmer will take over as the CEO. Newmont added in its statement that it is expecting savings of $100 million a year. It added that as part of the deal, the combined company will sell $1 billion to $1.5 billion worth of assets over the next two years. The companies added that the new company formed from this deal is expected to produce 6-7 million ounces of gold annually over the next ten years. The statement said that Newmont will offer 0.3280 of its share and $0.02 for each Goldcorp share. Both the companies have said that the transaction is scheduled to close in the second quarter. While Goldcorp has retained TD Securities and BofA Merrill Lynch as financial advisors, BMO Capital Markets, Citi and Goldman Sachs are working as financial advisors for Newmont. 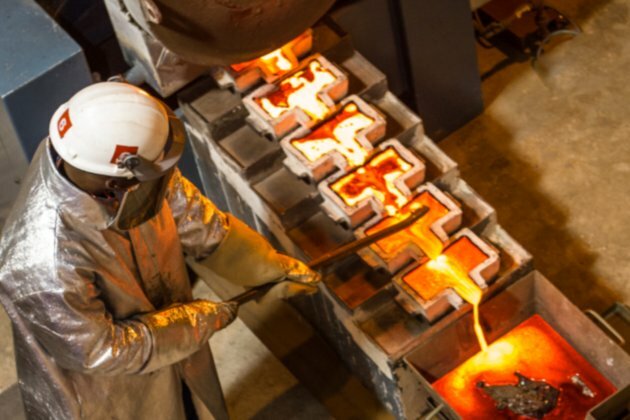 The deal, which comes at a time when easy-to-find reserves of the precious metal are dwindling, is set to spark further consolidation in the industry, analysts have claimed. Refinitiv said in a note that the transaction is the biggest ever takeover in the gold sector following Barrick Gold Corp's agreement to buy Randgold Resources Ltd in a September 2018 deal valued at $6.1 billion. Meanwhile, analysts at Scotiabank wrote in a note, "This transaction is positive for Newmont, because it establishes it as the worlds leading gold producer with a deal that is accretive on nearly all key metrics."